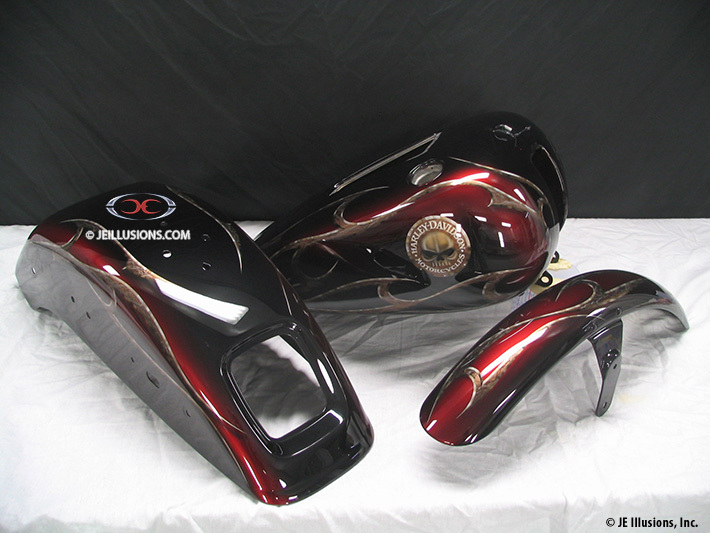 This paint design has a jet black under-base that blends into brandywine on each side of the tank and back fender and then blends back into black again. Over this is a bevel-edged silver blade design that also runs along both sides of the body. The blade design is filled with a copper and silver marbling effect with metal-flake on top of this and a drop-shadow effect for even more depth. 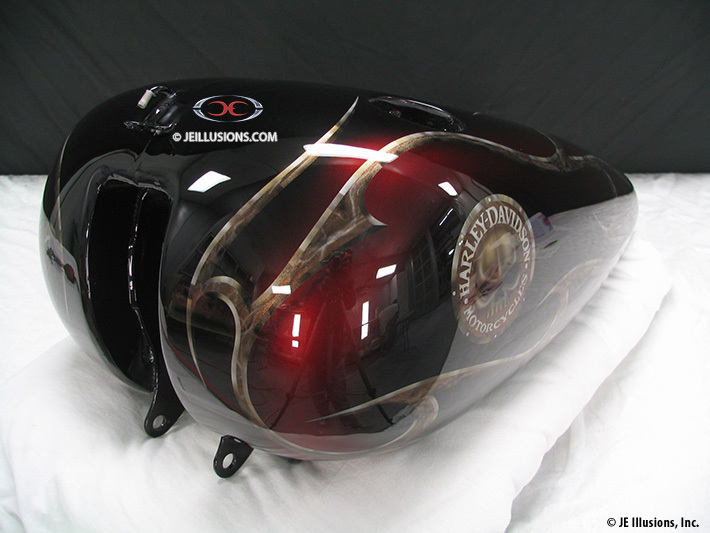 On each side of the tank is a custom Harley-Davidson logo that features an airbrushed skull inside a bevel-edged silver circle with rivets. There is also metal-flake on this as well.